This book tells the story of South Florida’s early pioneer history through some of the real-life experiences of Charlie Pierce. Pierce’s adventures as a young boy were recorded in diaries that he maintained throughout his life which were later consolidated into a manuscript. 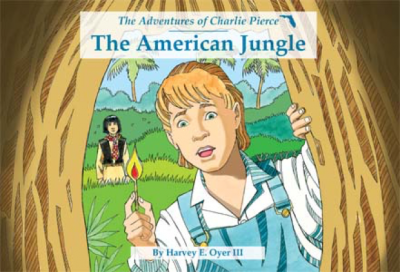 To write this book, Harvey E. Oyer III, who is the great-grandnephew of Charlie Pierce, utilized that manuscript as well as stories passed down through five generations of his family. This is the first book in the series.